Chicago’s Varaha promises psychedelic space doom rock on their self-titled debut EP, but in all actuality the band delivers broader palette than that. The lead single Cubicle sure starts as percussive space rock, which made me think of less commercial Katatonia, but the song evolved from there. Steadily Cubicle shifted into more passionate territory, including vocals, and before too long, through the combination of heavier, ambient and acoustic parts the notions of US melodic death doom a la Daylight Dies could be invoked. Cubicle still maintained its disposition of gentle breezy three-dimensional music, guitars flowed like a river, the stream never becoming a gale. The brief bagpipe (or saxophone, I could not tell) interlude, which is La Mela, forewarned of things more ominous. It Takes a Ghost to Kill a Ghost certainly started more tragic, with a weeping tone melody, a little bit thinner Novembers Doom with vocals, which are definitely not bottom scraping growls. 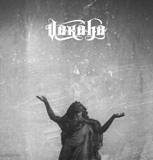 Continuing to explore further, from there Varaha went for double bass and suffocated yells, reveling in melody and uplifting tremolo, perhaps speaking of personal triumphs, and giving off some early Agalloch vibe in the process. Blending quite a few approaches into one entertaining listen, Varaha was definitely 15 min well spent.